A lot of you asked and voted for adding drill through to mobile. Now you got it! While you can navigate one level down in the hierarchy on a selected data point with drill down, drill through allows you to navigate to another report page, that potentially has more focused data on your selected data point. 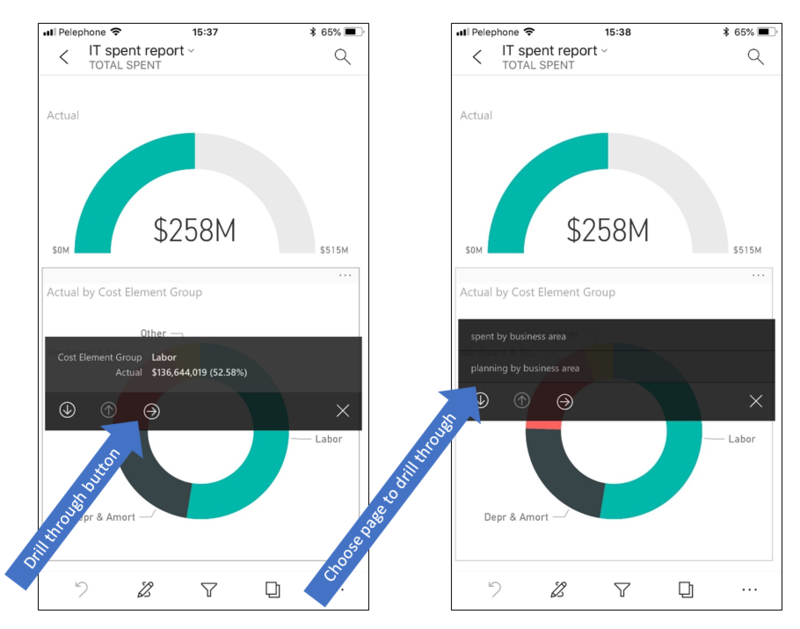 In this new release of Power BI Mobile apps, we support drill through for all platforms! When a drill through is defined in your report (visit here to learn how to add drill through to your report), tapping on a data point, you will see the drill through option in the tooltip overlay. You might have multiple drill through options, each taking you to a different page. In that case you will need to choose which one you want to drill through. We also changed our Back-button behavior, so you can return back to the original report page you navigated from, just by using the back button on the top of your screen. 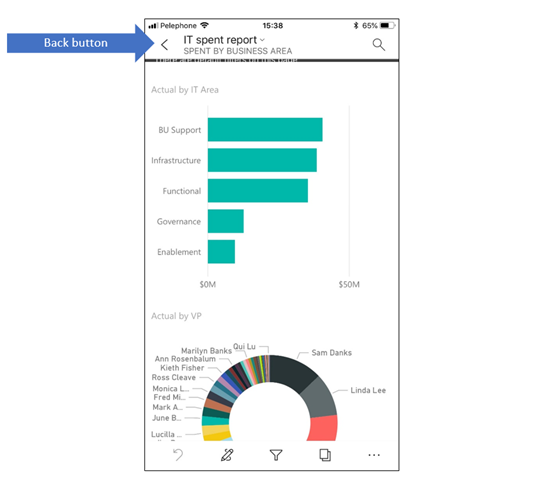 With this new capability, IT administrator can remotely configure employees’ Power BI Mobile app. IT admins can configure Report Server details the app will connect to, and save the end user from the need to know and enter the server details. The configuration is done using the organizational MDM/EMM tool (for example: Intune). Once this is done, all the user has to do, is to accept the configuration and provide a password to complete the connection to the server. Now, the sign in process will only require the user to provide password. All other information will be provided from the policy configured. Note: this feature is currently released for iOS devices only. As you know, you can create phone optimized report in Power BI Desktop. And when you publish that report to the service, and access it from your mobile app, you get a tailored portrait view, optimized for using in mobile devices. The feedback that we got from you, is that this is a great feature, but that the length of the report canvas is not enough. So, we doubled it, and now phone reports can host more visuals in each page. 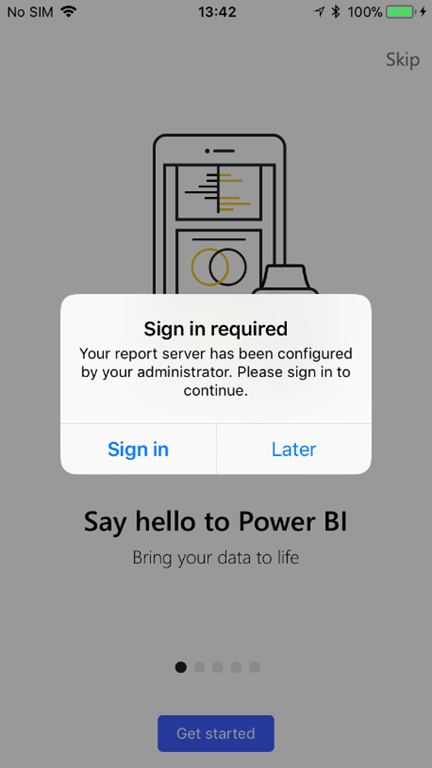 The increased phone report canvas is be available in Power BI Desktop (June release). 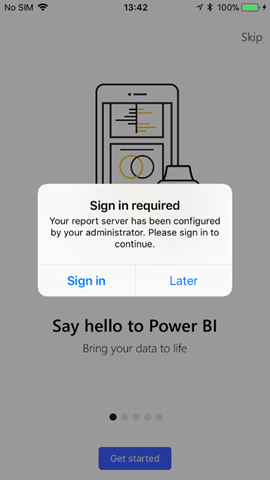 Read full documentation on Report Server configuration for Power BI Mobile iOS app. Learn how to build phone optimized reports.